5 of the most familiar icons that we encounter while using the internet and the computer in general, are been presented in marble. 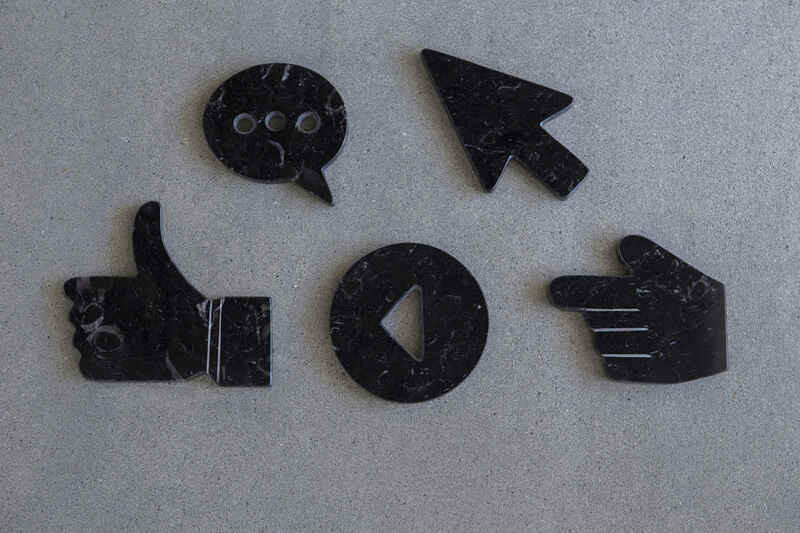 George Kouvaras' STONE AGE set consists of: 1 cursor arrow, 1 hand pointer, 1 like icon, 1 chat icon, 1 play icon. The set comes in two marble options. Please choose your preferable option from below. Item can be used in countless ways! The only limit is your imagination. For tips on how to take care of the product, click on the cross at the end of the page.